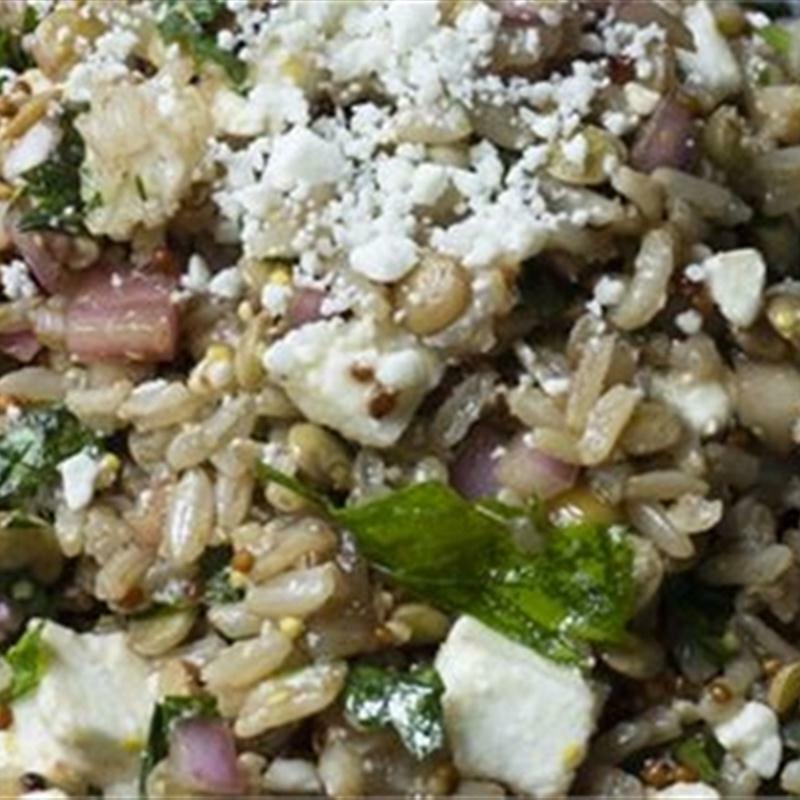 Lentil and Brown Rice-Quinoa Salad is a hearty, fiber-rich salad that can be served as a side or vegetarian main. This recipe was developed by Chef Judith Choate. Heat the rice mixture according to package directions. While still warm, transfer to a medium mixing bowl. Immediately add the remaining ingredients, stirring to blend completely. You want the warmth of the rice to allow it to absorb the other flavors. Set aside to marinate at room temperature for 1 hour. Serve at room temperature as is or on a bed of leaf lettuce. Toss in 1 cup of chopped cooked bacon or ham or crumbled feta cheese just before serving. 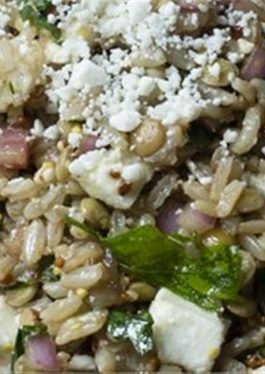 Tips: Variations: Add 1 cup of chopped, cooked bitter greens, such as kale or mustard greens to the warm rice along with the other ingredients.